The purpose of this article is to provide information on methods and techniques on how to cope with pain, or in some instances, possibly even overcoming pain with the use of techniques derived from Yoga meditation. Chronic pain sufferers spend millions of dollars to find ways of relieving their pain. This article hopes to share a process that is natural, and free. According to a study in the Journal of the American Medical Association, mind-body medicine is the most popular alternative approach for people in pain. And at the heart of mind-body medicine lies the age-old practice of meditation; a quiet, simple technique that belies an extraordinary power that has scientifically been proven to boost disease resistance and maintain overall health. For many people who suffer from chronic pain, spending quiet time in meditation has proven to be the first step in learning how to cope with their pain. Over the years, thousands of individuals have sought help at stress reduction clinics that teach meditation techniques to people with pain. Their symptoms vary -from headaches, arthritis, and back pain to anxiety, eczema, and many other conditions- but their stories are remarkably similar: For those seeking help in coping with their problems, meditation works. The human body can produce its own natural chemical self-stimulants called endorphins. Among other things, this group of molecules alleviates stress, reduces pain, and gives a feeling of pleasure. During meditation, when the brain is in a highly synchronous and coherent state (as measured by EEG brainwave biofeedback machines), it produces large quantities of these pleasure-causing neuro-chemicals, i.e., endorphins, making the whole experience pleasurable, giving an overall feeling of well-being. Many report a feeling of peace, happiness, connectedness, and a sense of wholeness when meditating. Scientists have found that when the brain is stimulated by a pleasurable experience, it is capable of overwhelming or inhibiting other stimuli. Thus, pleasure can overcome depression or pain. 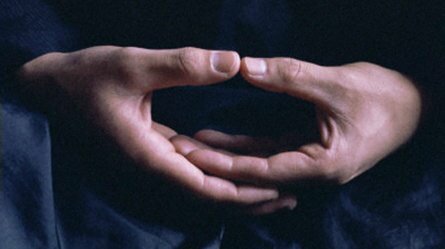 There are many meditation methods and techniques but they can generally be divided into several categories listed below. You may experiment with each one, and maybe even combine them to suit your needs. It all depends on what works best for you. Meditation is a very flexible tool. One of the first steps in meditation is being aware of your breath. This method involves the use of specific breathing patterns to bring about relaxation. Essentially, as you slow your breathing rate, the body relaxes, and the mind calms down, as well. Based on my own personal experience, the more relaxed you are, the less pain you will feel. Meditation does not only involve breathing awareness. Many meditation traditions ask you to ponder on life-changing concepts such as what reality is and who you really are. Understanding your True Self, and experiencing your True Self directly thru meditation causes practitioners to undergo a profound transformation of view. This transformation of view leads them to a different way of looking at themselves, namely from a perspective of wholeness. With this change of perspective, a new and profound coming to terms with their problems and their suffering begins to take place. From feeling out of control, helpless, and beyond help, they develop a sense of inner peace and acceptance, and even a sense of the possible, a feeling of calm confidence, and control. This attitudinal and emotional transformation plays a major role towards better health and often causes a reduction in physical symptoms and improvement in a person's physical condition. This transformational life view brings about an ability to act with greater balance and inner security in the world, especially when encountering stress, pain, or illness. This category includes the popular mindfulness meditation which is used extensively by stress reduction clinics that have helped thousands of chronic pain sufferers and people with illnesses. Visualization or imagery is a commonly used technique to relieve anxiety and pain. It involves imagining a pleasant and relaxing, or even exciting, place or activity that has brought you happiness in the past or is appealing to you. Mentally exploring this place or activity in great detail can help induce a sense of calm. It is said that a life force flows through our bodies, invariably known as prana or chi, and that this energy flows through the body within a psychic nervous system composed of subtle channels. There is an intimate relationship between our mind and this subtle nervous system and we can control or direct this energy for improved well-being, such as for pain relief. You can also visualize blue, white, or pink healing light having a positive effect on the painful area. These Yoga meditation techniques have been used for centuries for spiritual purposes. However, they can also be used as natural pain relief methods. By applying the meditation techniques specifically for pain control, practitioners are able to have a positive effect on such severe kinds of pain. I hope these methods help those of you with chronic pain so that you can use meditation to lead better lives.